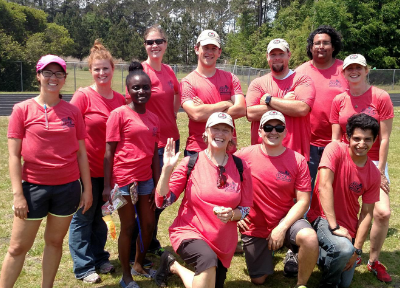 The University of South Carolina Beaufort Sand Shark Veterans (SSV) are dedicated to providing support to veterans, active duty military, their dependents, and the community, for the sacrifices they have made. With this support we hope to bring a better and more meaningful experience for all within the USCB community. As it is on the battlefield, so shall it be in the classroom - no Service member left behind. 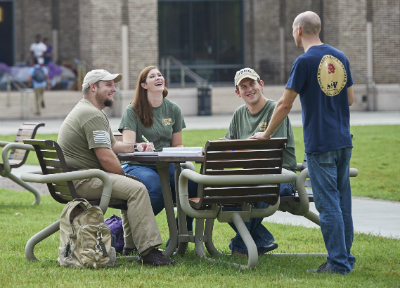 The Sand Shark Veterans is an organization comprised of student veterans who have continued their commitment to achieving success within their personal, professional, and civic pursuits in the course of receiving a world-class education at the University of South Carolina Beaufort. 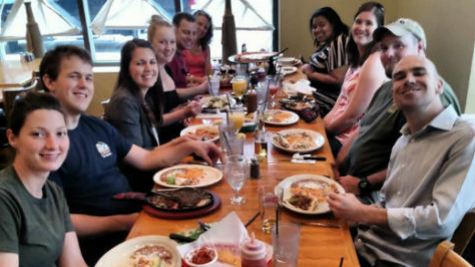 The organization began life as an opportunity to foster increased awareness and advocacy of the many issues that face veterans and their families as they continue transitioning from warfighters to test takers. Reach out to us and find out how you can help our activities, support our student veterans, and be a part of something meaningful. You don't need to be a veteran to join the club - you only need to care enough to get involved. Camaraderie is what most of us missed the most after leaving active duty. Fortunately, we never forgot how to get together for a good time. Always respectful of those who gave the ultimate sacrifice, we honor our fellow brothers and sisters in uniform at all events. We remember them and cherish their time with us each and every day. Beaufort, South Carolina, home of the Marine Corps Recruit Depot, Parris Island, celebrated its 100th year in the lowcountry. Here, some of our student veteran volunteers pose for a glamor shot during the Centennial Celebration. 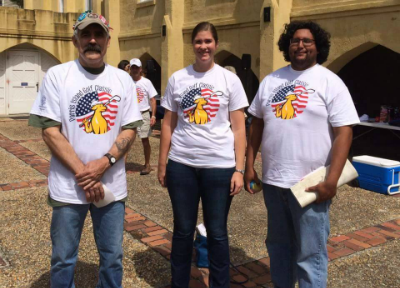 Some of our student veteran volunteers helped Paws 4 Vets host their scavenger hunt in Historic Beaufort, SC. 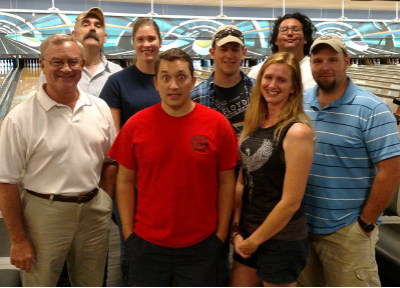 The Sand Shark Veterans always get a lot out of helping charity and service organizations in our area. The Sand Shark Veterans support our community. 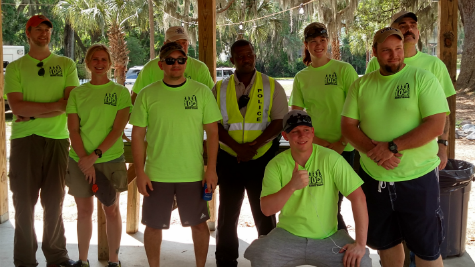 We partenered with Rotaract at USCB, and the Bluffton Rotary Club to assist in setup and clean up activities at the Annual May Fest in Bluffton, SC. Free beer for volunteers may, or may not, have been used as an incentive to help out. The Sand Shark Veterans are a well-liked and active member of the USCB micro-community and the larger local community. As such, our school's administration invited us to pose for photos that would be used in recruiting campaigns to help increase enrollment. We were happy to help. Another friendly gathering to celebrate the graduation of 2 of our own: Brian Vosicky and Calvin Calvert. One, a Marine with a psychology degree, the other a soldier with a computational science degree. Who said grunts can't get it done?! Congratulations to them both for their hardwork. And best of luck to them on their future endeavors. 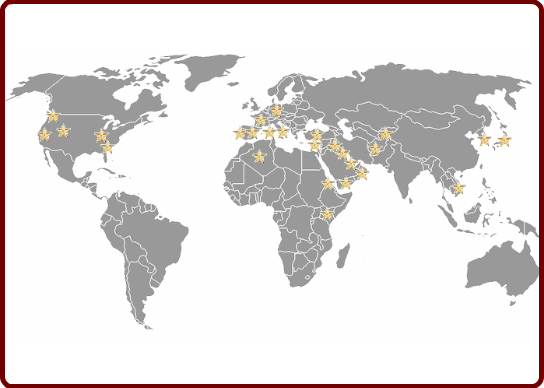 We've racked up a pretty good service location record. Take a look at where we've been. Each star represents a home away from home. Here is a group shot of all the volunteers that the SSV and Association for Computer Machinery assembled to help support the Special Olympics Track and Field events hosted in Bluffton, SC. SSV worked closely with Gamma Beta Phi National Honor Society, ACM@USCB, and the Bluffton Township Fire Department to provide volunteers, props, and assistance with the day's events. 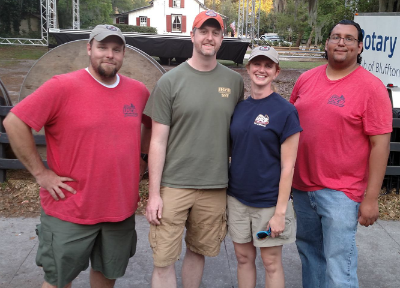 We also had the chance to partner with the veterans club from our neighboring school, Technical College of the Lowcountry. It was a great, fulfilling day. On Friday, March 31st, 2017, our friend, classmate, and fellow Sand Shark veteran, Benjamin "Nick" Becker, lost his private battle with PTSD. We will miss Nick's witty, sarcastic, and sometimes inappropriate sense of humor, his energy, and his intellect. As an active member of the Sand Shark Veterans club, Nick's death was a shock, tragedy, and surprise. Nick was instrumental in many of the club's efforts to raise awareness for PTSD, civic service, and community engagement. Nick's military service includes combat operations in Operation Iraqi Freedom as a member of 1st Battalion, 24th Infantry Regiment, a Stryker unit. 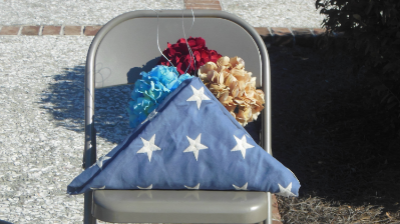 Nick's funeral was April 6, 2017, with full military honors at Beaufort National Cemetary. 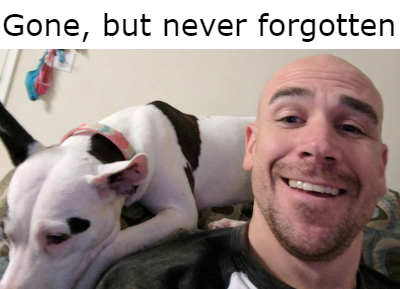 Another Sand Shark Veteran, Brian Vosicky, wrote a touching tribute to Nick that described Nick's character, personality, and service. It appeared in our local newspaper and has been shared via social media around the world. Read it here.